Frank Sheeder focuses his practice on health care enforcement defense and compliance. He has defended clients against civil and criminal fraud allegations brought by federal and state government agencies and other hostile third-party litigants—especially whistleblowers—for 30 years. Frank represents clients facing government enforcement initiatives, complex health care litigation and regulatory compliance matters. 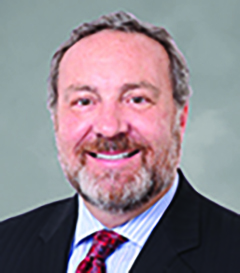 Frank has advised clients from virtually all segments of the health care industry – health systems, hospitals, academic medical centers, physician groups, device manufacturers, long-term-care providers, home health and hospice agencies, pharmacies, laboratories and allied health professionals. Those cases generally involve Medicare, Medicaid, Tricare and other federally funded health care programs. He also has defended putative class actions and civil cases involving parallel criminal proceedings. Chambers USA has recognized Frank repeatedly, noting that “his extensive work spans the entire nation” and he “maintains a very strong reputation.” Frank was named the Best Lawyers® 2013 Health Care Law “Lawyer of the Year” in Dallas. He has been listed in The Best Lawyers in America© every year since 2009 and named to the Texas Super Lawyers list every year since 2006. Frank is a prolific speaker and the author of the treatise, Corporate Governance and Compliance for Healthcare. He is also a long-term member of Wolters Kluwer's Health Law Advisory Board. Corporate Governance and Compliance for Health Care: A Practical Guide keeps you completely current with compliance requirements and responsibilities for Boards of Directors at health care organizations.